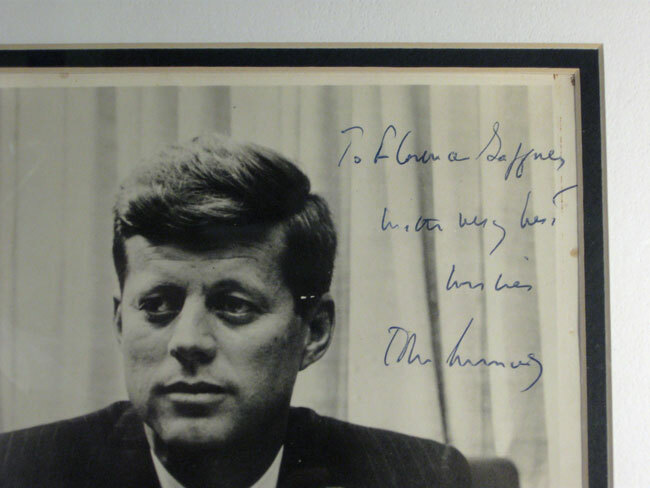 This month is the fiftieth anniversary of the assassination of President John F. Kennedy. I remember that day well, as does anyone else who happened to be alive at the time. Perhaps it’s because I was a kid – in the fourth grade when Kennedy was elected in 1960 – that I remember his presidency better than those of many that have come after him. A lot happened in the less than three years that he was president, including the earliest manned space flights, the Berlin Wall, and the Cuban Missile Crisis in October 1962, which was probably the scariest two-week period of my then short life. 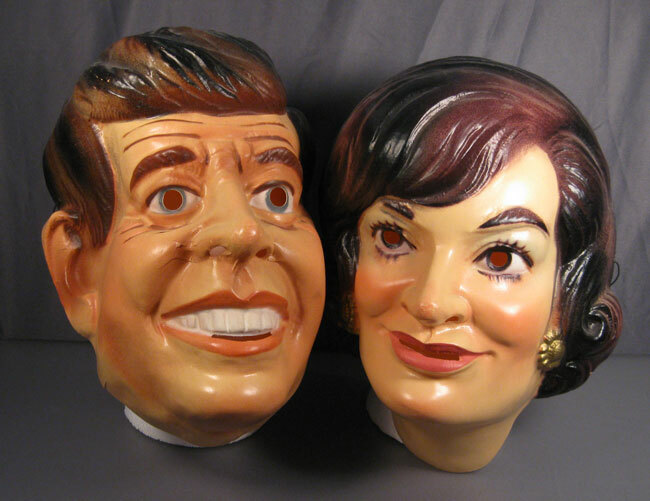 I also remember the lighter side such as Jackie Kennedy’s tour of the refurbished White House and his famous press conferences which pre-empted the TV shows I was watching after school. At the time they called it “charisma,” and he certainly had it. I had the opportunity to visit the Kennedy Memorial Library and Museum outside of Boston a couple of months ago. It’s a good place to go to get a feel for the history and also the style of the Kennedy White House through the numerous objects on display. I particularly enjoyed the “campaign” section. So much has been written about JFK, from endless conspiracy theories about his assassination to the sometimes questionable conduct of his personal life, that time does not seem to have taken away our fascination of him. It’s hard to believe that he would be 96 years old if he were still alive today! One may also wonder what would have happened had he lived. 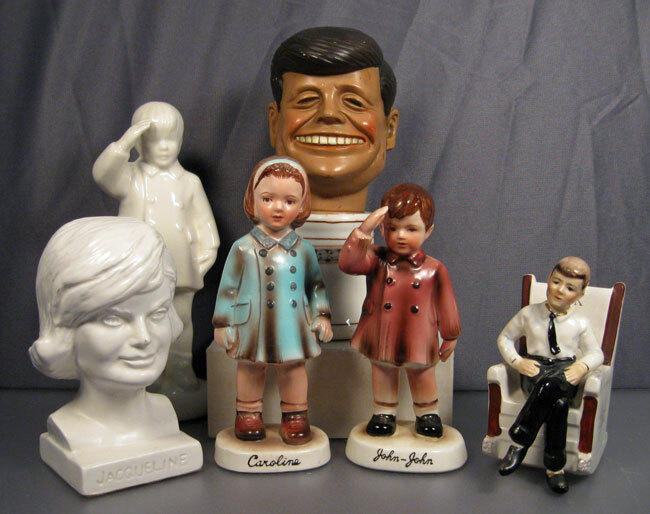 It’s no surprise that Kennedy is popular with collectors of political memorabilia. 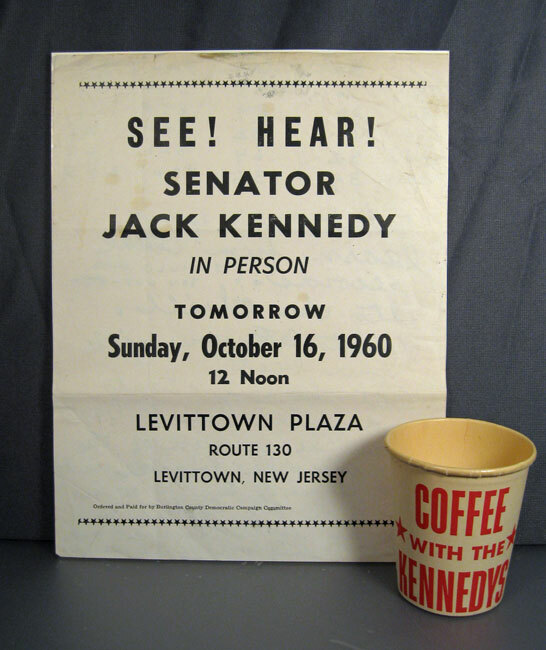 Here are some items that were available during his 1960 campaign and presidency. 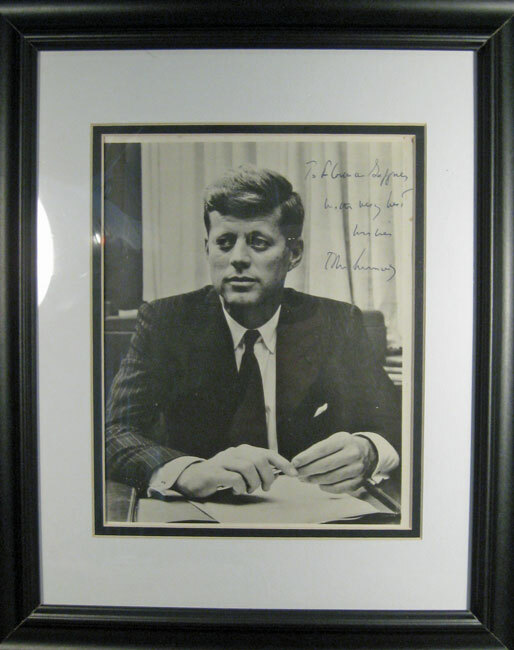 Please NOTE: JFK was notorious for using secretaries and an “auto-pen” for autographs. After studying samples of his handwriting at great length, I believe this to be a genuine autograph. 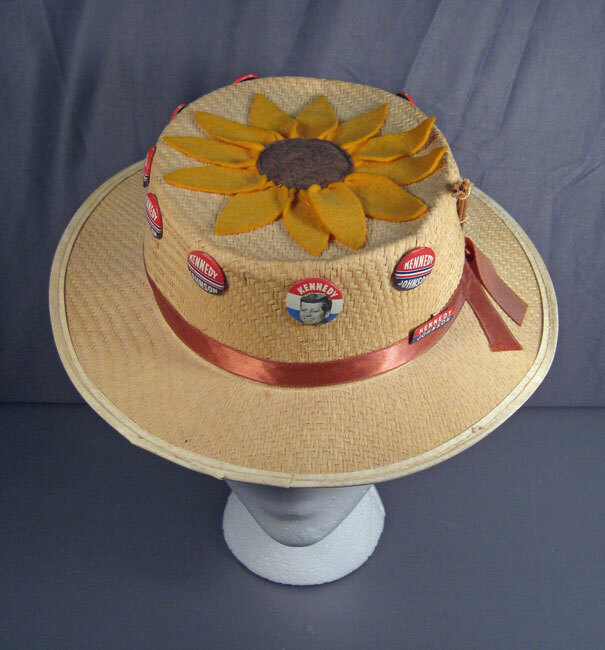 This entry was posted in 1960's, Americana, Historical, Jim, Political. Bookmark the permalink.